Explore the Zulu Kingdom intimately as your embark on an overland tour with one of our passionate guides who know KZN like the back of their hand. Every month we identify a different part of the province and embark on a research expedition to discover what’s new and what’s interesting. The unique experiences that we discover and hoard are used to take your adventures to the next level. Tap into the diversity of KwaZulu Natal as you explore 3 unique wildernesses. Immerse yourself in the St Lucia Estuary as you juggle pods of hippopotamus. 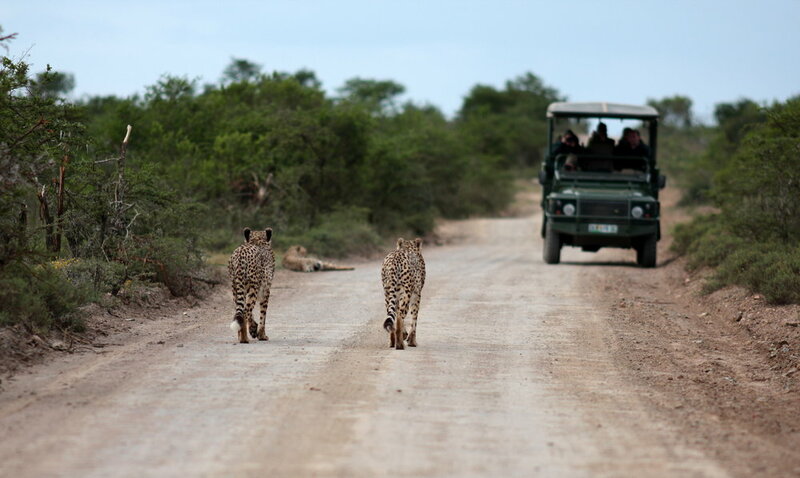 Embark on an evening safari at the famous Big 5 Phinda Game Reserve. Bright and early the following morning head to the 2nd oldest reserve on the planet — Hluhluwe Imfolozi Game Reserve for a half day safari. Immerse yourself in the creative energy of the Midlands Meander at Ardmore Ceramics as well as the boutique farms along the way. Hike the UNESCO Drakensberg Mountain range and unlock the Rosetta Stone of SAN (Bushman) Rock Art. No Drakensberg tour is complete without a visit to the awe inspiring Amphitheatre before a leisurely drive down to the coast. Go on a journey through the KwaZulu Natal Midlands exploring its history, culture and stunning vistas. Hike the UNESCO Drakensberg Mountain range and unlock the Rosetta Stone of SAN (Bushman) Rock Art. Finish the tour on a high as you track Africa’s iconic Big 5 at the Nambiti Private Game Reserve over 2 adrenaline rushing days before returning to Durban.